enhance and broaden a career in North Korea analysis and research. The program will include a two-day conference featuring workshops and discussions with DC-based North Korea specialists and policy professionals. The Program will also include site visits to institutions such as the State Department and Congress. Selected participants may be eligible to receive domestic roundtrip airfare and hotel accommodations for the duration of the two-day program. Students outside of the United States may be eligible to receive up to a $500 travel stipend. Students and young professionals from outside of the Washington, DC metro area are particularly encouraged to apply. the international relations of East Asia. Demonstrated academic and/or professional merit. address security and humanitarian issues on the Korean Peninsula. 1. A completed application form (see below). a. What is your interest in participating in this program? Korea (i.e. nuclear nonproliferation, Korean history, human rights, etc.). Applicants should send all completed application materials in PDF format to application@ncnk.org by May 31, 2019. In your submission email, please use the subject line “2019 NCNK Workshop Application – First and Last Name”. Candylio is a small technology services start-up specializing in implementing productivity software from Atlassian like Jira, Jira Service Desk, Confluence, and Trello (www.candylio.com). Our mission is to help every team unleash their full potential through culture and technology. The newly renovated office has comfortable desks and even massage chairs. It’s located in a bustling part of Ho Chi Minh City, close to good restaurants, and on the same side of the city as the airport (the district is Phu Nhuan). Candylio typically hosts 1-2 interns per semester, and focuses on mentoring those students and providing them good opportunities to learn and grow. All employees speak English, and we provide an interesting opportunity to get to know Vietnamese colleagues as well as 2 American colleagues. We usually order or go out for lunch, have fun bubble tea breaks, and generally have a relaxed office with enough space for interaction as well as nooks for privacy. The Summer Market Research Intern will be responsible for researching Internet of Things (IoT) technologies and software connectivity in relation to facility management as well as conducting global market analysis reports. The intern will present research findings to the team and be part of roadmap planning. The ideal candidate will be excited to learn how businesses in SE Asia operate and how software can be applied to optimize various industries such as facility management. Assist and facilitate staff with English translation or Marketing occasionally. 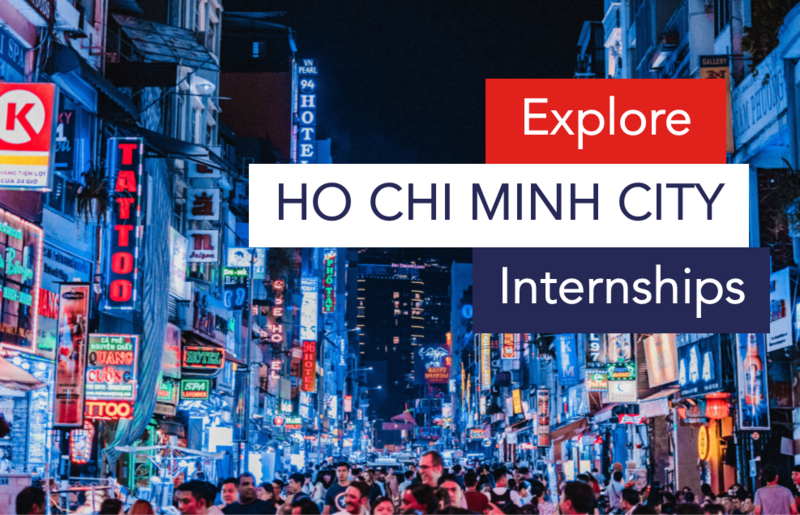 The intern will be embedded in a small Vietnamese company, with the opportunity to see how all aspects of the business and learn new software. The intern is welcome to participate in company meetings. The office hosts professional events periodically including user group meet-ups, which is a good opportunity to get to know others. Length of internship is negotiable (starting end of May, preferably). Although no formal requirements for a technical background are necessary, intern should be comfortable working with various technologies. Background in Business and/or Marketing would be useful. We have a small team (10 people), so we are very open and mainly looking for the right personality and value fit with the team. Cover Letter and Writing sample is required for consideration (research paper is preferred). Interested candidates should email their resume, cover letter, and a brief writing sample (as one merged PDF) to Ms. French at carolynfrench@gmail.com. The National Bureau of Asian Research (NBR) is seeking a part-time Editorial Assistant (12 hours per week). This paid internship runs from September 3, 2019, to May 31, 2020. The Editorial Assistant position offers recent graduates with a bachelor’s degree and current MA and PhD students the opportunity to acquire professional experience in publishing while working at a nonprofit research institution that focuses on U.S. policy toward the Asia-Pacific. The Editorial Assistant will support the Publications Director in the Washington DC office and assist with editing NBR publications. A proofreading test will be given to applicants at the interview stage. Housed within the Office of Multicultural Involvement and Community Advocacy (MICA), the Asian American and Pacific Islander (AAPI) Student Involvement Area focuses on student engagement, especially in fostering a deeper understanding of the diverse experiences and intersecting identities of AAPI students. Through leadership opportunities, educational workshops, student organization and personal advising, as well as social and cultural events, the AAPI Student Involvement Area offers a variety of services and programs for students to develop their personal and social identities. The Graduate Coordinator for AAPI Student Involvement and Advocacy will collaborate with and support the Coordinator in the development of programmatic initiatives to support office, department, division, and institutional goals. Support the Coordinator in developing and implementing a strategic plan for the Asian American and Pacific Islander Student Involvement Area. Collaborate with the Coordinator in developing, implementing, and assessing programs and services for AAPI students related to identity development, leadership, and social justice. Outreach, support, and serve as an advocate for AAPI students. Provide advising, training, and support to the Asian American Student Union (AASU) and other AAPI student organizations. Support the Coordinator and AAPI student community in organizing and executing programming and logistics for Asian American and Pacific Islander Heritage Month (April). Work with the Community Organizing Student Intern (COSI) for the AAPI Student Involvement Area in communication efforts, including the Spokes weekly newsletter and updating the MICA website. Attend programs and activities geared for AAPI students and/or sponsored by AAPI student organizations. Assist with assessment of services for and needs of the AAPI student population. Support and provide social justice/equity education and training. Collaborate with coordinators and graduate coordinators of other student involvement areas within MICA on cross-cultural programs and initiatives. Support the activities and initiatives of the MICA office (e.g., Inclusive Language Campaign, Brown Bag lunch series, MOSAIC Leadership Retreat, MVP Awards). Foster purposeful and cooperative partnerships with offices that work with AAPI students, including but not limited to Asian American Studies and the Office of Diversity and Inclusion. Serve on the selection committee for the Philip Vera Cruz-Yuri Kochiyama Senior Award as part of the University Awards Program. Work with the Coordinator to establish and maintain relations with local AAPI-related community organizations. Serve as a member of the Adele H. Stamp Student Union – Center for Campus Life by participating in meetings and events, as well as representing the office at divisional and institutional events. Must be a registered graduate student enrolled full-time in a degree program at the University of Maryland, College Park. Direct experience with and knowledge of AAPI issues is preferred. Experience and interest in working with multiple, intersecting identity student issues is also preferred. The application can be accessed through ejob.umd. Applicants will be required to submit a resume and cover letter with the application. Best consideration date is April 19, 2019. Feel free to contact Dorothy Kou (dkou@umd.edu) or Jessica Yuan (syuan1@umd.edu) if you have any questions. Taiwan America Student Conference (TASC) is a 3-week intensive leadership conference that brings together 32 outstanding university students of all fields from across Taiwan and the United States. TASC is nonprofit and entirely student-run, and will be held from July 11 to July 31, 2019. Our purpose is to develop strong, global connections among delegates by promoting mutual concern and understanding across cultural and national boundaries. Excursions to important cultural, political and historical locations and organizations. Exchange of viewpoints and perspectives on pressing issues shared by societies in the U.S. and Taiwan. Roundtable groups, composed of 8 students (4 U.S., 4 Taiwan), with a final forum aimed to facilitate dialogue and increase students’ mutual understandings of a particular topic of interest. 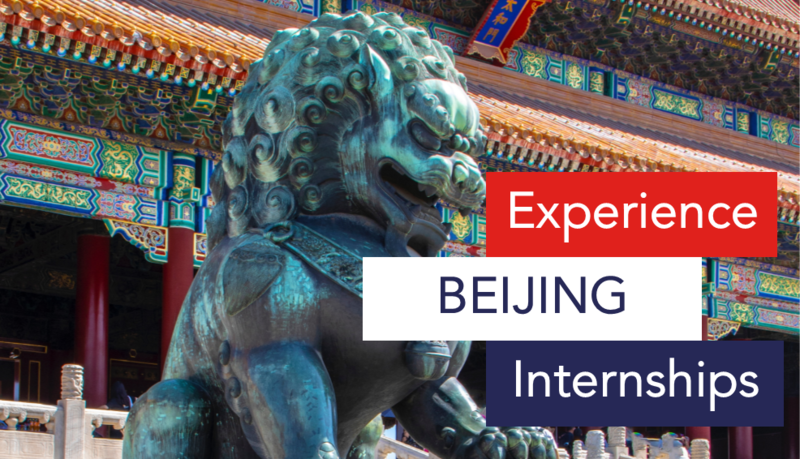 These activities, among others, will encourage students to gain a greater insight on their respective countries, acquire international and practical leadership experience, and join a lasting community of professional connections. Not to mention, participants are sure to develop lifelong friendships over the course of the program. Students will grow professionally, academically, and personally, and together make TASC an exceptionally unique, fun, and life-changing experience. The application form can be found on our website. The deadline for applications is April 7 at 11:59PM EST. Undergraduate and graduate students, as well as recent graduates of any major, are welcome to apply. Be sure to check the website for more information, and feel free to contact executivecommittee@taiwan-america.org at any point if you have any questions. Global Health is a defining challenge of tomorrow’s world and is a critical concern for both developing and developed countries. As the key to this issue is an interdisciplinary solution, crossing traditional boundaries between academic disciplines, we are inviting Master students from all academic programmes and from anywhere in the world to provide helpful strategic recommendations. Five prizes, one per continent, we will be distributed. The Geneva Challenge 2019 will distribute 25’000 CHF in monetary prizes and the finalists will be invited to publicly present their work in Geneva before a panel of high-level experts. Networking opportunities are also envisioned as part of the prize package. Project submission due by 15th July 2019. GW Libraries seeks a student to process and catalog a large gift collection of Chinese-language materials. Processing the collection includes searching for already existing catalog records for each item, exploring library and other catalogs in China and elsewhere to clarify bibliographic information, and importing records and tracking material as it moves through the Library’s content-management workflow. The project also offers an immersive, research-focused learning experience. It will allow the selected student to systematically explore and evaluate a substantive collection; learn about the intellectual framework within which content is classified; and gain exposure to the role of the library in describing, managing, organizing and making available published works. Term: approximately 6 months; approximately 20/hrs a week with potential for additional hours over the summer. Wage rate: $15/hr or commensurate with experience. 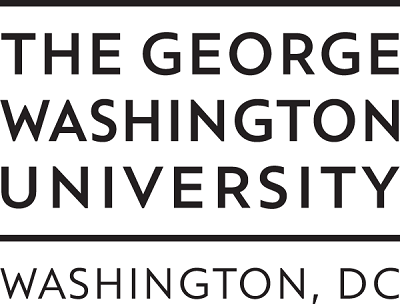 Please submit resume and brief letter of interest to Cathy Zeljak, Director, Global Resources, George Washington University Libraries at: czeljak@gwu.edu. Please find below the job description of the two different internship programs that we offer. The Global Taiwan Institute is seeking two summer interns to assist with: current research projects and reports, production of the bi-weekly Global Taiwan Brief, and organization of our monthly public seminars. Interns will also help with preparation for our inaugural Annual Symposium and with relevant administrative tasks. Interns may have the opportunity to publish in the Global Taiwan Brief. We are looking for energetic, flexible, highly-motivated interns who are excited about our mission and work well as a part of a small team. Familiarity with regional issues, editorial and/or writing experience, social media proficiency, interpersonal skills, and a strong work ethic are essential. This internship is unpaid. What do you see as the three most significant issues facing Taiwan today, and why? What skill-set do you already possess, and what skills or expertise do you wish to gain through this internship? Please send these materials as email attachments (Word documents or pdf) to GTI Program Manager Marzia Borsoi-Kelly at mborsoikelly@globaltaiwan.org with subject: “GTI internship Summer 2019” by Friday April 5, 2019. Applications that do not include all requested application materials will not be considered. The Global Taiwan Institute is seeking one full-time, paid intern to assist with: current research projects and reports, production of the bi-weekly Global Taiwan Brief, and organization of our monthly public seminars. Interns will also help with preparation for our inaugural Annual Symposium and with relevant administrative tasks. Interns may have the opportunity to publish in the Global Taiwan Brief. We are looking for energetic, flexible, highly-motivated interns who are excited about our mission and work well as a part of a small team. Familiarity with regional issues, editorial and/or writing experience, social media proficiency, interpersonal skills, and a strong work ethic are essential. 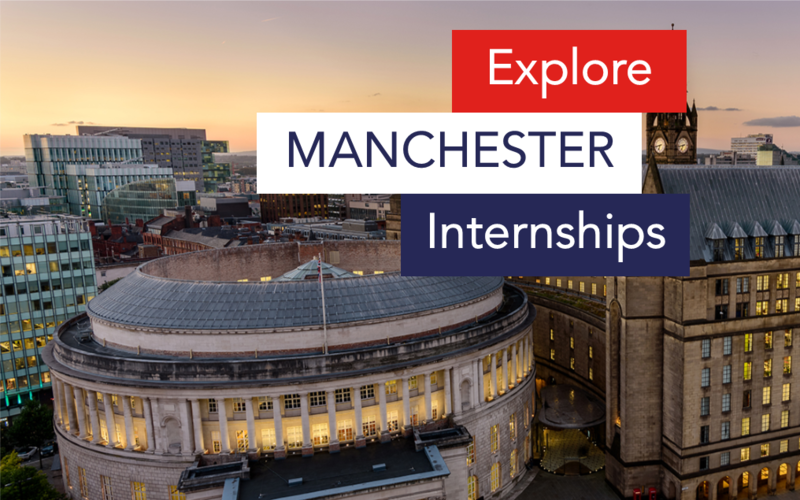 As the only funded internship offered by GTI, this intern will be a competitive and successful applicant with exceptionally strong academic and professional backgrounds. Please indicate in your cover letter whether you would like to be considered for one of our two (unpaid) summer program internships, in the event that you are not selected as a Ya-Hui Chiu intern. Please send these materials as email attachments (Word documents or pdf) to GTI Program Manager Marzia Borsoi-Kelly at mborsoikelly@globaltaiwan.org with subject: “Ya-Hui Chiu internship Summer 2019” by Friday April 5, 2019. 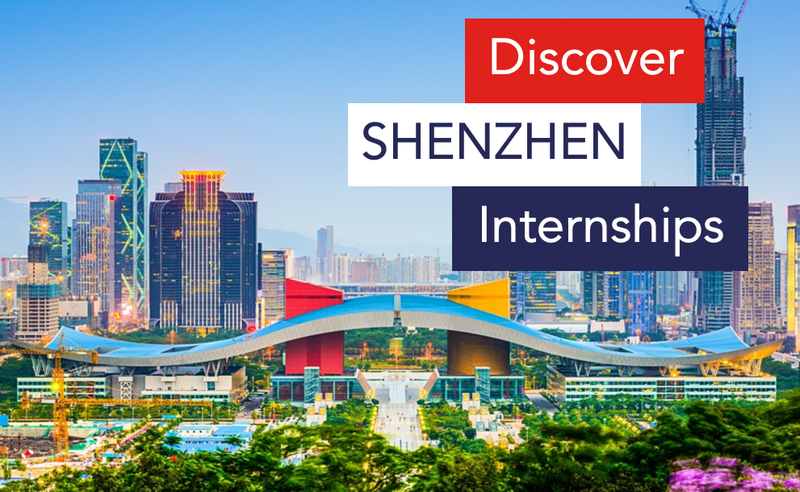 Remember to please indicate in your cover letter whether you would like to be considered for one of our two (unpaid) summer program internships, in the event that you are not selected for the Ya-Hui Chiu internship. Applications that do not include all requested application materials will not be considered. Undergraduate and junior graduate students are invited to submit proposals to present completed research papers/projects, research-in-progress, or roundtable discussions on any topic related to the general fields of government, international, and public affairs. Students from colleges and universities in and around Virginia as well as national and overseas colleagues are invited to submit proposals. We invite faculty and experts from VCU and other institutions to chair and serve as discussants; each presenter will have 10-15 minutes to speak. The VCU Political Science program offers concentrated study in American Government, Public Policy, International Relations, Comparative Government and Politics, Political Theory and Research Methods, with strong connections to Sociology, Economics, Philosophy, International Studies, Psychology, and History, allowing for a wide array of possible paper proposals. We’ll consider students from all majors and disciplines. This is your chance to share your interests with faculty and other students, to gain experience presenting your work in a professional conference environment, and to receive useful and constructive feedback on your research. Proposals should contain your name and e-mail address, your university, and your major or department, the title of your proposed presentation, and a short (1-2 paragraph) abstract describing your work, including general topic and what you will argue. The deadline for submissions is Tuesday, March 26, 2019. Please e-mail your submissions to VCUConference2019@gmail.com . Those selected to participate will be notified on a rolling basis by e-mail and all will receive replies by no later than Friday, April 5, 2019. The one-day conference will also include additional panels on internships and careers in government and foreign affairs, a panel with information on graduate schools, and a buffet lunch served for all presenters and panelists in the afternoon. There is no fee for participation in the conference. Do not exceed 60 years of age. Monthly salary is based on the applicant’s educational background, work experience, and other qualifications. No salary is paid during the summer vacation (from July 1st to August 30th). 5.) A professor with Ph.D., CNY 20,000/month. An apartment (about 55 square meters), on campus, free of charge, equipped with a bedroom, a sitting-room, a kitchenette, a bathroom, an air-conditioner, a colour TV set, a refrigerator, a washing machine, a bed, a sofa and cooking utensils with hot water available. Those who sign on for a full academic year or more shall receive an additional allowance of CNY 2,200 and reimbursement for a round-trip international airfare upon the completion of a one-year contract. Just over two weeks remain to apply for American Councils’ Fall 2019 and Academic Year 2019-2020 Indonesian Overseas Program. We welcome students of all academic backgrounds and language levels (including those with no background in Indonesian language) to apply by the application deadline: March 15, 2019. U.S. academic credit and the opportunity to apply for scholarship support are offered to all participants. Past program participants have combined American Councils financial aid with outside funding sources, including Boren Scholarships and Fellowships, to completely cover their program-related out-of-pocket costs. Applications for Fall 2019 and Academic Year 2019-2020 are due by March 15, 2019. Reside in a female-only residence hall (dormitory.) The Program Residential Director will make all room assignments. Toilets and shower facilities are community style and are shared by only female campers, interns, faculty and staff. Interns may be asked to enter these toilets and shower facilities in case of emergency. The residence halls are not air conditioned, but we will provide a fan. You will have a single room. Bed linens and bath and hand towels will be provided, as well as all meals. Reside in a male-only residence hall (dormitory.) The Program Residential Director will make all room assignments. Toilets and shower facilities are community style and are shared by only male campers, interns, faculty and staff. Application Deadline: Wednesday May 1, 2019 or until the position is filled whichever is earlier. The National Bureau of Asian Research (NBR) is seeking an intern who is interested in building professional experience and developing office skills in a nonprofit, policy-research setting. The Trade, Economic, and Energy Affairs (TEEA) Intern will be exposed to various NBR projects, such as Innovative Asia, the Pacific Energy Summit, and the Energy Security Program. This opportunity allows for the individual to develop skills in writing, research, event planning, publications, and general office and project support through on-the-job experience. This a paid, full- or part-time (25+ hours), temporary (6 months) position to join the Trade, Economic, and Energy Affairs (TEEA) team starting in the spring of 2019. The minimum is three months, but priority is given to those who are available longer. This internship is supervised by the Senior Director and Project Manager for Trade, Economic, and Energy Affairs. Event Planning: Providing administrative support to conferences, workshops, presentations, and briefings (drafting agendas and invitations; assisting with travel, accommodation, and venue arrangements; note-taking, etc.). Project Assistance: Drafting, reviewing, fact-checking, proofreading, and formatting documents related to TEEA programs, including but not limited to briefing materials, agendas, website content, key thematic issues, and related publications and/or other materials as appropriate. Research Support: Providing substantive research assistance for project teams and scholars, including gathering articles on current events and background on key individuals, attending and summarizing local events on trade and energy, and conducting an interview with an expert in the TEEA field. Publications Support: Reviewing, fact-checking, proofreading, and formatting publications; assisting with publications distribution (including mailings), etc. Database Administration: Maintaining and updating project databases; data entry and research for institutional and project databases. Phone Support: Answering incoming calls to the organization. Other: Participating in and supporting other NBR activities as needed. Degree holder preferably in Asia Studies, International Relations, Political Studies, International Political Economy, International Health, or a related field. The ideal applicant should be a motivated self-starter who can work independently or as part of a team; pay acute attention to detail; be organized; work well under pressure; and have excellent written, oral, and research skills. Some in-office experience with research, writing, event planning, or other responsibilities listed above preferred, but not required. Demonstrated proficiency in a relevant geographical or topical area of Asia studies and/or U.S.-Asia policy; reading proficiency in an Asian language preferred. The deadline for applications is Friday, March 15, however, qualified applications received first will be given priority. Mosaic Taiwan is a fellowship exchange program for promising young leaders from the U.S. and Canada to visit the Republic of China (Taiwan) and gain firsthand knowledge of its culture and society. Sponsored by the Ministry of Foreign Affairs, the program provides students and young professionals with the interest in global affairs with the opportunity to explore Taiwan through extensive exchanges with local leaders from various fields. It also gives young leaders from Taiwan international exposure by fostering dialogue with their overseas counterparts. Mosaic Taiwan 2019 will run from June 11 to 20. Participants are expected to take part in substantive team-building and leadership development exercises, workshops and lectures on topics involving Taiwan, attend meetings with representatives of the academic, private and public sectors, as well as visit many of Taiwan’s important cultural, historic and tourist sites. Applications will be accepted from February 1 to February 28, 2019. Please email the completed application form and all required documents to Mr. Jimmy Yu of Taipei Economic and Cultural Representative Office in the U.S. at ycyu@mofa.gov.tw. The American Institute of Indian Studies (AIIS) invites applications from scholars, professionals, and artists from all disciplines who wish to conduct research or carry out artistic projects in India in 2020-21. In the summer of 2019, the Comparative History of Ideas program once again will sponsor a well-established study abroad program led by Christoph Giebel (UW, Int’l. 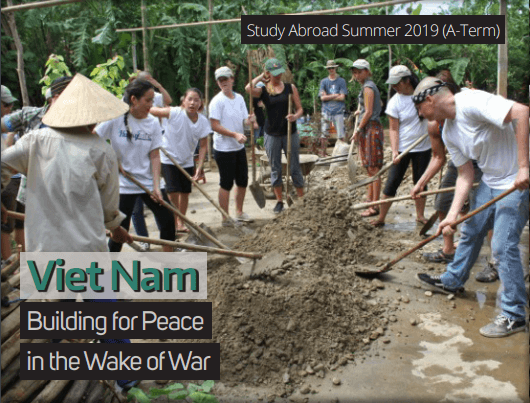 Studies/History) to explore the legacy of war and ongoing rebuilding efforts in Viet Nam. More than 40 years after the end of the war, areas of central Viet Nam, where much of the fiercest fighting occurred, still must deal with the war’s after-effects. Environmental, community health, and socio-economic challenges stubbornly remain and defy quick solutions. Students will learn how wars—so easily started—will have grave impacts for generations even after their formal end. Our group of 16-18 students will first pursue cultural-historical studies in dynamic Ha Noi and serene Hue to firmly contextualize and historicize what is commonly called the “Viet Nam War.” In partnership with PeaceTrees Vietnam, a Seattle-based NGO working on land mine clearance and sustainable environmental/community restoration in Quang Tri Province, we will then engage with, and learn from, lowland and remote upland communities near the former Demilitarized Zone (DMZ) and participate in rebuilding and reforestation projects. We will be visiting former battlefields such as Khe Sanh and there gain hands-on experience in how areas cleared of explosives at long last enable sustainable agricultural projects and safe play and learning environments for children. Besides these activities and learning goals, pursued in one of the most stunningly beautiful areas of Viet Nam, we will also critically examine concepts of “helping” and “service learning,” their ethics and pitfalls, and contemplate our position in a world defined by stark inequality in power and resources. Professor Giebel has directed eight Comparative History of Ideas programs in Viet Nam, all of which have received uniformly enthusiastic student evaluations. Ability to speak Vietnamese is not required, and students from all areas of study are encouraged to apply. For more information and access to the application please click HERE. The Henry L. Stimson Center’s South Asia Program welcomes applications from highly motivated graduating seniors or individuals who have completed their undergraduate or master’s degree in the past year for its 2019-2020 cohort of Junior Fellows. 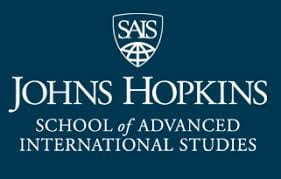 The one-year, full-time fellowship will provide individuals with a unique opportunity to expand their knowledge of security issues in the subcontinent, engage the South Asia policy community in Washington and the region, and experience working at a dynamic think tank that provides close interaction with senior staff and researchers. Junior Fellows will receive a salary of $37,000 for the full year as well as health insurance and transit benefits for the duration of the fellowship. Junior Fellows will support the Stimson South Asia Program’s efforts to research, analyze, and inform policymakers about the evolving dynamics of deterrence, conflict risks, military modernization, and great-power competition in Southern Asia. Fellows will be expected to support research, publications, and programmatic efforts (including South Asian Voices, Nuclear Learning, and public events and workshops). They will receive professional development opportunities to engage with leading scholars and practitioners in the field, to represent Stimson at scholarly and policy convenings, to hone technical and analytical skills, and to conduct, present, and publish their own research. The Stimson South Asia Junior Fellowship will help emerging analysts develop the research, analytical, writing, and project management skills required to succeed in fields related to peace and security in South Asia. A strong background in: South Asian political, economic, or security issues; strategic studies; international relations theory; or economics. Demonstrated analytical, research, and writing skills. Ability to work independently and to collaborate with peers in a team environment. A record of academic excellence. Bachelor’s degree. All applicants must be eligible to work in the United States for the full twelve months of the fellowship following graduation. Precise editing skills (work experience in university writing center or newspaper a plus). Experience living/working in South Asia and/or working in intercultural settings. Hindi, Urdu, or Mandarin (or other relevant) language skills. Event and/or project management experience. A one-page statement of interest laying out the candidate’s research interests and career goals. Applicants should discuss how they can contribute to the mission and work of the Stimson South Asia Program and how the Stimson South Asia Junior Fellowship would contribute to their long-term professional growth. A two-page curriculum vitae including all educational qualifications, study abroad experience, and extracurricular activities, as well as any work experience to date. Unofficial transcript(s) with academic record of undergraduate and Master’s (if applicable) coursework and study abroad experience. A writing sample of no more than two pages on a topic related to South Asian political or security issues. Letters of recommendation should be emailed to southasiaadmin@stimson.org with the subject line “Stimson South Asia Junior Fellowship—Last name of applicant.” All other application materials should be submitted as PDF documents through Stimson’s online application system HERE. Completed applications are due February 20, 2018. Interviews will be conducted soon after, and final decisions will be communicated in early April. Applicants selected for interview may be required to complete one or more short research, editing, and/or writing tests. The fellowship will begin in early September 2019 and continue through August 2020. Am I eligible for the Stimson South Asia Junior Fellowship? Graduating seniors or individuals who have finished their undergraduate or master’s studies in the past year with a demonstrated interest in South Asian peace and security issues are eligible to apply for the Junior Fellowship. The fellowship is meant for early career scholars and analysts who are looking to develop expertise in the subcontinent’s strategic affairs. Do applicants have to be U.S. citizens to apply for the Stimson South Asia Junior Fellowship? No. International applicants are welcome to apply as long as they have a valid visa that allows them to work in the United States for the full 12 months of the fellowship (approximately September 1, 2019 to August 31, 2020). When is the application due and where should I submit my application materials? Will be notified if I am not selected for the fellowship? Only those chosen for the interview round will be notified of their selection or non-selection. When does the fellowship begin? Though there is some flexibility, the fellowship will begin roughly in early September 2019 and continue through August 2020. Is the Stimson South Asia Junior Fellowship paid? Yes. Junior Fellows will receive a salary of $3,083.33 per month ($37,000 for the full year). In addition, Stimson will provide health insurance and a transit benefit to the fellows for the duration of the fellowship. The South and Southeast office is seeking graduate-level interns for the summer. 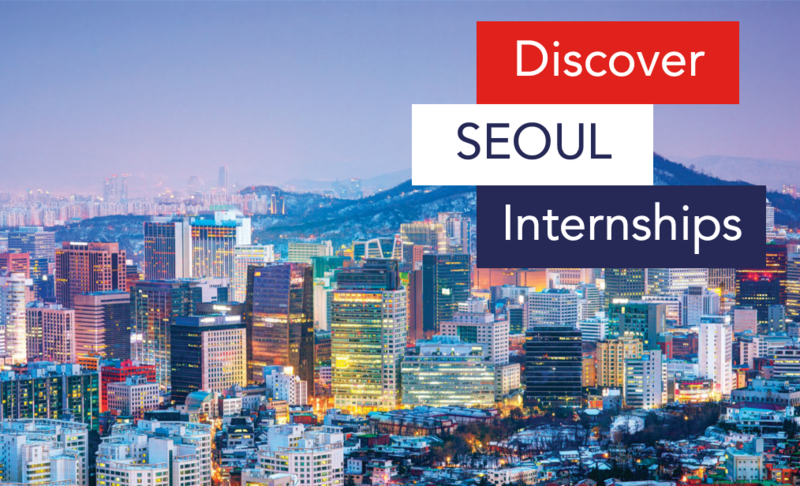 This internship offers an excellent opportunity to engage on policy issues across 20 countries that provide an interesting mix of transition, developing, frontier, and emerging market policy issues to dive into. It is largest office in terms of population covered, but one of the smallest in terms of staff and therefore guarantees a rewarding experience. Engaging with this region is a key piece of the Indo-Pacific strategy and our office works on multiple interagency processes to help shape our foreign policy objectives. Our Southeast Asia priorities in the coming year include analyzing Chinese investments across the region, closely monitoring monetary policy, and supporting high standards in electronic payments and other ASEAN integration processes. Our South Asia priorities in the coming year include helping India tackle stress in the corporate and banking sectors, helping Pakistan avert a balance of payments crisis, and supporting Afghanistan fiscal self-sufficiency.  Assisting with trip preparation and briefing books. Candidates should have a solid understanding of international economics and/or finance. Candidates should also have strong quantitative, research, writing, organizational, spreadsheet, and communication skills; the ability to meet tight deadlines; talent in constructing well-reasoned arguments and extracting key data/information from large documents; and the capacity to work independently and as part of a team. This position is unpaid and open to U.S. citizens only. Candidates are expected to work 40 hours per week. This internship will provide candidates the opportunity to learn about and contribute to the formation of public policy. Students will become proficient at researching and compiling data using Bloomberg and Haver, as well as analyzing and presenting the data. Students will learn how to draft talking points and prepare briefing materials, as well as how to make a point succinctly to busy senior officials. Students will also have an opportunity to attend and report on relevant financial and economic seminars and conferences around Washington DC. Candidates should apply to the 2019 Summer Student Volunteer vacancy announcement posted on USAjobs here. The start and end dates are flexible based on school schedules. The American Institute of Indian Studies is a cooperative, non-profit organization of eighty-six American colleges and universities that supports the advancement of knowledge and understanding of India, its people, and culture. AIIS welcomes applicants from a wide variety of disciplines. In addition to applicants in the Humanities and Social Sciences AIIS encourages applicants in fields such as Development Studies, Natural Resources Management, Public Health, and Regional Planning. Junior Research Fellowships: Available to doctoral candidates at U.S. universities in all fields of study. Junior Research Fellowships are specifically designed to enable doctoral candidates to pursue their dissertation research in India. Junior Research Fellows establish formal affiliation with Indian universities and Indian research supervisors. Awards are available for up to eleven months. Senior Research Fellowships: Available to scholars who hold the Ph.D. or its equivalent. Senior Fellowships are designed to enable scholars in all disciplines who specialize in South Asia to pursue further research in India. Senior Fellows establish formal affiliation with an Indian institution. Short-term awards are available for up to four months. Long-term awards are available for six to nine months. A limited number of humanists will be granted fellowships paid in dollars funded by the National Endowment for the Humanities. Senior scholars may also apply for an AIIS/Ashoka University Research and Teaching Fellowship. Senior Scholarly/Professional Development Fellowships: Available to established scholars who have not previously specialized in Indian studies and to established professionals who have not previously worked or studied in India. Senior Scholarly/Professional Development Fellows are formally affiliated with an Indian institution. Awards are for periods of six to nine months. Senior Performing and Creative Arts Fellowships: Available to accomplished practitioners of the performing arts of India and creative artists who demonstrate that study in India would enhance their skills, develop their capabilities to teach or perform in the U.S., enhance American involvement with India’s artistic traditions, and strengthen their links with peers in India. Awards will normally be for periods of up to four months, although proposals for periods of up to nine months can be considered. Non U.S. citizens are welcome to apply for AIIS fellowships as long as they are either graduate students or full-time faculty at a college or university in the U.S. Citizens of the United States, however, can apply for senior fellowships if they are not affiliated with an institution of higher education in the U.S. The fellowship competition is open to all applicants and is NOT restricted to applicants from AIIS member institutions. Fellowships are funded by both U.S. government grants as well as AIIS endowment funds. Most of the federal funds received are restricted to U.S. citizens; non-U.S. citizens and performing/creative arts fellows are generally funded by the AIIS endowment. The number of fellowships AIIS can offer depends on the funding available from the different sources, though all applicants are reviewed equally and simultaneously. The AIIS strongly encourages applications from non-US citizens and US citizens alike, and remains committed to providing research opportunities to all qualified candidates regardless of nationality. It also seeks additional private support to increase the number of its awards. 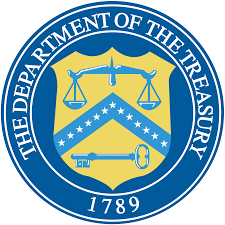 Fellowships are funded by the National Endowment for the Humanities (also available to permanent residents); the Bureau of Educational and Cultural Affairs of the United States State Department and the Council of American Overseas Research Centers under the Fulbright-Hays Act of 1961, as amended. Fellowships for six months or more may include limited coverage for dependents. The Chinese Language Fellowship Program (CLFP) is a nationwide initiative designed to support American PhD students in political science with a fellowship of up to $45,000 so that they can devote one year to intensive Chinese language training at an institution of the fellow’s choice, generally in China or Taiwan. We are looking for emerging China scholars interested in informing U.S. public policy and training successive cohorts of American experts. Fellows will participate in a one-year intensive language program to help them acquire outstanding Chinese language skills. The Chinese Language Fellowship award is designed to cover all tuition and other registration/visa fees related to a student’s intensive Chinese language program, as well as to provide a stipend to cover basic living and travel costs. 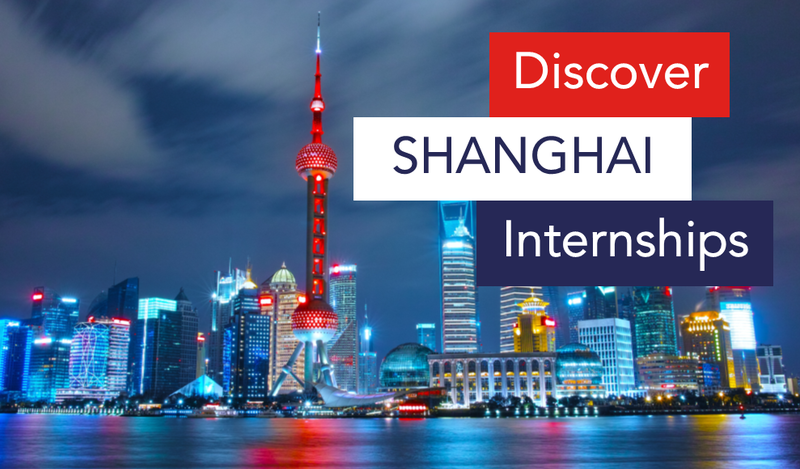 Demonstrate an intermediate Chinese language ability (e.g., through transcripts from classes taken and/or the results of language assessment tests) and a clear commitment to expand their Chinese language skills. The fellowship is NOT intended to help beginner students of Chinese. Desire to advance public policy toward China through improved expertise and understanding, or to contribute to scholarly research and teaching on China in order to develop future generations of China specialists. Application deadline: February 24, 2019. If you are eligible, we look forward receiving your application. Otherwise, please forward this email to PhD students in political science who are eligible. For any questions, please reach out to clfp@nbr.org. We are helping hire a Program Coordinator for Harvard University’s Regional Office in Delhi. Should this interest you, please read further. The Lakshmi Mittal & Family South Asia Institute, Harvard University engages faculty and students through interdisciplinary programs to advance and deepen the teaching and research on global issues relevant to South Asia. The South Asia Institute Regional Office in New Delhi enables SAI to advance its mission, meet a growing demand for academic activities, and provide a base for future initiatives in India. Assisting in the planning and execution of events, conferences, seminars, related to the Institute. Bachelor’s degree with 3+ years of work experience Master’s Degree preferred. Must possess strong written communication skills. Ability to work in a fast paced environment and multi-task in a small team. Experience with Adobe Suite and Microsoft Office, Adobe and knowledge of wordpress preferred. Experience in an academic setting strongly preferred. The Congressional-Executive Commission on China (CECC) is offering paid Fellowships to graduates of accredited Bachelor’s, Master’s, J.D. Programs, or current graduate-level students. CECC Fellowship positions are filled twice a year. The Spring term (Part-Time, 15-20 hours a week) begins approximately in early February and ends in mid-May. The Summer term (Full-Time, 32-40 hours per week) begins approximately in mid-May and ends in August/September. The Commission may recruit additional Fellows during the year based on internal needs. The precise start and end dates are determined based on the Commission’s schedule, and the end dates can be negotiated based on Fellows’ needs. The CECC’s Liu Xiaobo Fellowship was created in honor of renowned Chinese Nobel Prize laureate and prominent political prisoner Liu Xiaobo, who died in state custody in July 2017, just weeks after officials reported that he was battling late-stage liver cancer. A writer, former literature professor, and human rights advocate, Liu Xiaobo was among the chief authors of Charter 08, an open statement calling for political reform and greater protection of human rights in China, which was released on December 10, 2008, to coincide with the 60th anniversary of the Universal Declaration of Human Rights and Human Rights Day. Liu was detained on December 8, 2008 and later arrested on the charge of “inciting subversion of state power” in connection with his work on Charter 08 and several political essays he wrote. At the time of his death, he had served nearly 8 years of an 11-year prison sentence. The Liu Xiaobo Fellowship provides significant professional experience for individuals with a background in Chinese politics, law, and society, in addition to strong Chinese language skills. Fellows work closely with the Commission and its staff on the full array of issues concerning human rights, the rule of law, and governance in China (including criminal justice, institutions of democratic governance, environmental issues, religious freedom, freedom of expression, ethnic minority rights, women’s rights, etc.). Fellows perform important research support tasks (often in Chinese), attend China-related events, meet human rights advocates and other professionals whose work is focused on China, and assist staff in the drafting of Commission analyses, in addition to other tasks. (Click here for CECC analysis of recent developments in the rule of law and human rights in China.) Fellows may also perform research for the Commission’s Political Prisoner Database, which has been accessible to the public since its launch in November 2004 (click here to begin a search). CECC Fellows will be paid $12/hour. Fellows are not eligible for any additional federal benefits. Fellows must be U.S. citizens. Fellows must be a graduate of an accredited Bachelor’s, Master’s, or J.D. program, or a current graduate-level student. Fellows should have completed at least some China-related coursework. It is also desirable that they have some background in one or more of the specific human rights and rule of law issues in the CECC legislative mandate. Chinese language skills: Fellows should be able to read Chinese well enough to assist with research in newspapers, journals, and government documents. More advanced Chinese language capability would be a plus. A successful candidate for a fellowship will often have lived or studied in mainland China, Hong Kong, or Taiwan. Interested applicants should send a cover letter, resume/CV, writing sample, and the names and contact information of two references (please assemble application materials in one PDF file, if possible) to the CECC via e-mail to Judy Wright, Director of Administration, at judy.wright@mail.house.gov. NO phone calls, please. Spring Term: Applications must be received by our office no later than 11:59 P.M. (EST) on November 15. Summer Term: Applications must be received by our office no later than 11:59 P.M. (EST) on February 15. Please discuss in your cover letter how your professional goals, interests, and background relate to the Commission’s legislative mandate regarding human rights and the rule of law in China. Brief statement addressing how your research skills, knowledge, and experience make you a suitable candidate for the CECC Liu Xiaobo Fellowship. 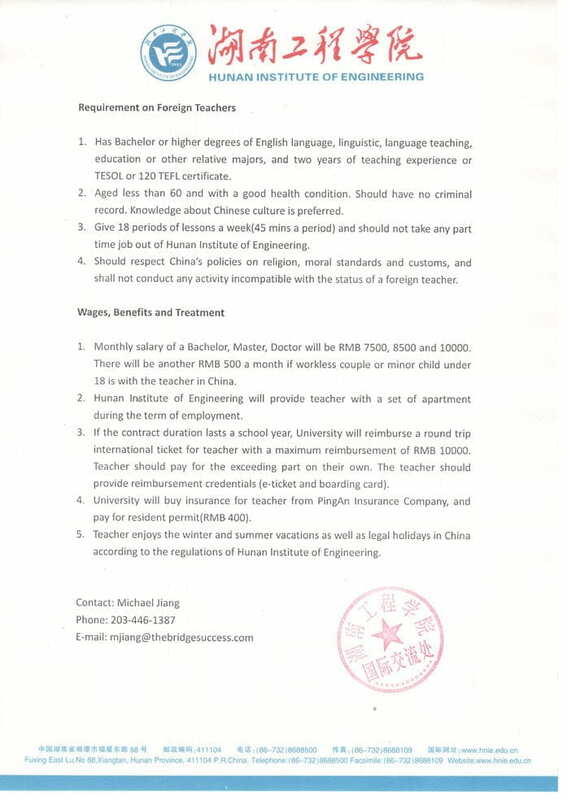 Please indicate in your cover letter whether you are able to read Mandarin Chinese for research purposes. If yes, please indicate your level of fluency, i.e. beginner, intermediate, advanced, or native fluency. If you have taken a Chinese language proficiency exam, such as the HSK or ILR, please indicate the highest score you have obtained. Please indicate how you heard about this fellowship position. Please include relevant work history, coursework, educational achievements, honors/awards received, translation experience, and anything else that you feel will help our evaluation. Please provide a writing sample (in English) of no more than two pages and no more than 500 words (double spaced). Your submission must be your own work, and can be an excerpt of a longer piece. Please include their names, titles, phone numbers, and email addresses. Recommendation letters are not required. Position start date: Begin immediately. Time commitment: 32 hours per week preferred, but negotiable. Organization Description The US-China Education Trust (USCET) is a 501(c)(3) non-profit organization, dedicated to strengthening mutual understanding between the United States and China through education and exchange for next-generation leaders. USCET works with Chinese academic institutions that comprise its 54-member American Studies Network and 39-member Media Education Consortium. Through conferences, seminars, fellowships, and professional training, USCET helps China’s policymakers, university faculty and students understand American society in the context of the political, cultural, and economic forces that have given rise to America and its values. Position Description USCET seeks a self-motivated, highly organized and tech-savvy Program and Communications Intern to provide programmatic and communication support to the Chief Operating Officer and the President and work as part of a dynamic team. S/he plays a key role in supporting the implementation of ongoing programs as well as developing new initiatives addressing critical issues related to US-China relations. S/he is responsible for creating meaningful content for USCET’s social media presence and connecting with relevant audiences. Conduct other writing projects as assigned. Create dynamic written, graphic and video content, including invitations, brochures, and other materials for programs and events. Demonstrated academic and policy interests in international relations, diplomacy, and US- China relations. Excellent writing and critical thinking skills essential, as well as ability to communicate clearly and effectively, both verbally and in writing. Well organized with attention to detail and ability to carry out tasks independently. Solid organizational skills with ability to multitask. Strong computer skills, including proficiency in Microsoft Word, Excel, and PowerPoint, InDesign, PhotoShop, and web-based tools; graphic design skills desirable. Proficiency in written and oral Chinese preferred. On the ground experience working or studying in China also preferred. American Councils for International Education is pleased to announce that it is now accepting applications for its summer 2019 study abroad offerings in Taiwan. With an 8-week intensive Chinese language program in Tainan and a 4-week regional studies program in Taipei, we look forward to welcoming students of all academic backgrounds and language levels to Taiwan this summer. Through the generous support of the Taiwan Ministry of Education, all U.S. students applying for AC Study Abroad scholarship funding for either program in Taiwan will automatically also be considered for additional scholarships of up to $2500, awarded based on financial need and academic merit. Past program participants have successfully applied additional outside sources of financial aid, including Fund for Education Abroad Scholarships, Freeman Awards for Study in Asia , and Gilman Scholarships to further reduce their out-of-pocket costs. SASLI will be offering Third-Year Hindi and Third-Year Urdu in addition to the elementary and intermediate level courses. All other classes will be offered at the elementary and intermediate levels only. NEW in 2019, SASLI will be offering Dari! 1) $1000 Fee Remissions, indicate interest when submitting the SASLI online application! Further information about funding and the SASLI FLAS and Half/Full Fee Remission applications can be found on the SASLI website! Exploring study abroad options for this summer? Consider aninternational internship, where you can gain first-hand work experience and prime real estate on your resume, all whiletravelling, exploring and having fun. 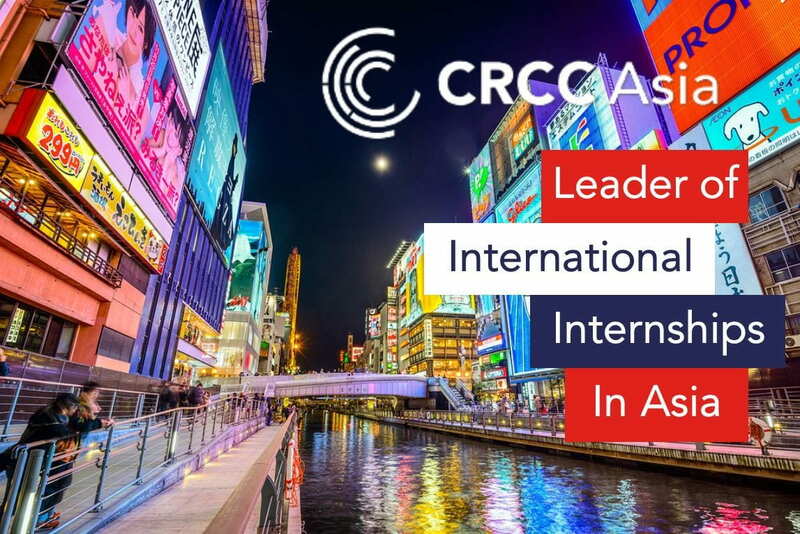 CRCC Asia supports 4, 8, or 12 week full-time internships with an English speaking supervisor in 8 different locations worldwide. Every accepted participant on our program is guaranteed an internship placement in 1 of 3 sectors of your choice in any of our 8 program locations. Placements are made based on experience, skills, previous coursework and goals. Included in the tuition is accommodation, visa processing, airport pick-up, induction day, guaranteed internship placement, cultural events, networking, and more. Learn more about our internship programs here or apply below to set up an advising call to learn more. 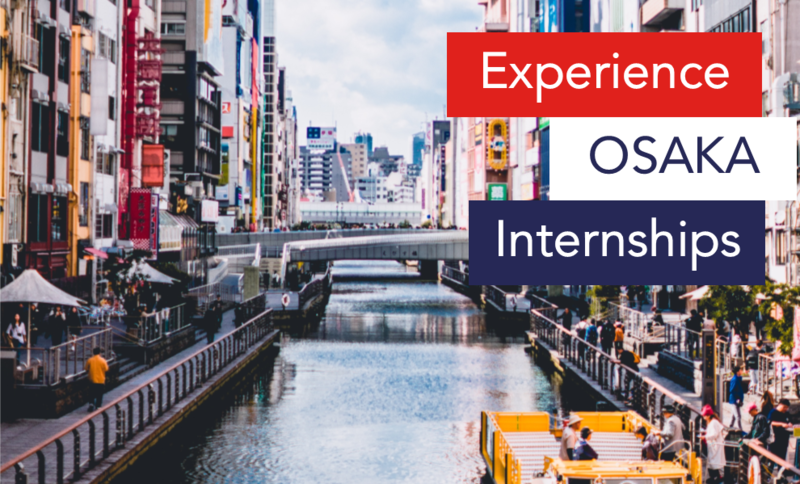 Interested in $300 off your international internship experience? To help you learn more about our programs and the dynamic characteristics that each city has to offer CRCC Asia will be hosting 8 location specific webinars every Tuesday and Thursday beginning Tuesday, January 15th at 5:30 PM EST until Thursday, February 7th. You can view Tokyo’s recorded Webinar to discover your $300 Promo code or review the upcoming webinar schedule below to learn about another location. All webinars will be 25 minutes. Each participant will receive a $300 promo code for attending any webinar. *discounts cannot exceed $500 if combined with other offers. Learn more about this International City with great finance placements, a wonderful expat community, and a robust cultural scene. Let your dollar stretch while you feast on amazing street food while working in technology, finance, and development. Across from Hong Kong sits a once sleepy fishing village that is now the electronic manufacturing capital of the world. Learn more about this unique program location. Explore London on the weekends but experience the true England at its heart in Manchester. Home to football (soccer) history, BBC Headquarters, and a wealth of new start-ups. Host to this year’s G20 summit and a few Rugby World Cup games, learn how Osaka became the Green Tech hub of Japan while exploring the unique cuisine in the region that started it all. Home of huge names such as Samsung, with a dynamic tech and finance hub, learn more about this city that balances nature and technology. To find out more about placement opportunities for your major fill out the application below to schedule an advising call. The National Bureau of Asian Research (NBR) is looking for a team player interested in developing office skills and professional experience in a nonprofit, policy-research setting. The Political and Security Affairs (PSA) Intern will be exposed to various NBR projects, such as Strategic Asia,China’s Vision for a New Order, the Military and Security Implications of China’s Belt and Road Initiative, the Maritime Awareness Project, and projects related to specific countries such as Taiwan and North Korea. This opportunity allows for the individual to develop skills in writing, research, event planning, publications, and general office and project support through on-the-job experience. This is a paid, full-time (40 hours per week), temporary (3-6-month) internship located in NBR’s Washington, D.C. office. The ideal candidate will be available to start in early February. The Intern will be supervised by both the Director of Political and Security Affairs and the Senior Project Manager. This internship position would be ideal for a candidate seeking to apply and expand his/her skills and build a portfolio in project management, research, writing, and editing to advance career opportunities. NBR conducts advanced independent research on strategic, political, economic, globalization, energy, and health issues affecting U.S. relations with Asia. Drawing upon an extensive network of the world’s leading specialists and leveraging the latest technology, NBR bridges the academic, business, and policy arenas. NBR disseminates its research through briefings, publications, conferences, Congressional testimony, and email forums, and by collaborating with leading institutions worldwide. Publications Support: reviewing, fact-checking, proof-reading and formatting publications; assisting with publications distribution (including mailings), etc. A proofreading test will be given to applicants at the interview stage. Incomplete applications will not be considered. McLarty Associates is seeking a graduate student or undergraduate senior for a paid semester internship focusing on Southeast Asia. This individual will also occasionally assist the Trade and Northeast Asia practices. The intern/graduate fellow will conduct extensive research on public policy, business, and trade issues; attend and report on speeches, panel discussions, and policy forums of interest to the firm and clients; and assist professional staff with general office and administrative support. Candidates must be able to commit to working from January through May with a preference for applicants who can work full-time (40 hours per week). Qualified applicants should send a detailed cover letter highlighting relevant experience and skills, a resume, and one short writing sample(no more than 3 pages) demonstrating strong research and concise writing on issues related to international politics or political economy tocareers@maglobal.com. Please compile all application materials into a single PDF file. The National Bureau of Asian Research (NBR) and the Institute for National Security Studies at the National Defense University (NDU) are partnering to organize the National Asia Research Program (NARP), a major nationwide research and conference program designed to reinvigorate and advance the policy-relevant study of contemporary Asia. A group of 20 rising Asia scholars will be selected through a competitive, nationwide process to contribute policy-relevant research on national security issues in 2019. We are looking for emerging/next generation Asia scholars interested in engaging in research and scholarship of direct relevance to policymakers. **DEADLINE EXTENDED UNTIL JANUARY 21st** Apply here! Training opportunities—NBR and NDU will hold training seminars for Fellows to develop skills necessary to conduct policy-relevant research and effectively deliver their research to the policy community, including honing skills in briefing, op-ed writing, and media engagement. Connecting with policymakers, including executive and legislative branches—The NARP will connect specialists with policymakers through their participation in NBR and NDU programming, highlight the scholars whose commitment and expertise contribute to national interests, and raise policymakers’ appreciation for the importance of academic work on Asia to the policy process. Publishing research findings—Fellows will also publish their findings through NBR, NDU, and top policy-oriented publications. A $10,000 stipend awarded to each Fellow—The stipend will support the Fellows’ work over their term, during which they will remain at their home institutions. Received a PhD from an accredited institution of higher education within the past ten years in an appropriate discipline such as international relations/studies, Asian studies, public policy, or security studies. In exceptional cases, PhD candidates who are preparing to defend their dissertations may also be considered. For any questions, please reach out to narp@nbr.org. Apply here. The Asian Journal of Public Affairs invites academics and PhD students to submit manuscripts of original research articles (6,000-7,000 words excluding abstract and bibliography), book reviews, commentary (1,500 words maximum) and policy analysis/field reports for ongoing research (5,000 words maximum). Contributions to the journal are accepted on a rolling basis. Please email your manuscripts to: ajpa[at]nus[dot]edu[dot]sg. Citations must follow the Chicago Manual of Style. Contact the editorial board for further details. AJPA Volume 11 Issue 2 is expected to be published in March 2019. The Asian Journal of Public Affairs (AJPA) is the flagship journal of the Lee Kuan Yew School of Public Policy (LKYSPP). It is a peer-reviewed publication featuring articles by scholars and practitioners on public affairs issues in the Greater Asia including the Middle East, Central and South Asia, and the Asia-Pacific region. Published on a bi-annual basis, AJPA seeks to influence public policy-making in Asia through interdisciplinary policy-relevant research. Print circulation is targeted not only to academic audiences but also to civil society and government organizations. The scope of Public Affairs includes, but is not limited to, Public Policy (including sectoral policies), Public Administration and Management, International Security, International Political Economy, Social and Political Sciences and Economics. Each issue features scholarly and practitioner-based research articles, field reports, commentaries, and book reviews. Articles may be quantitative and/or qualitative, national or cross-national. Preference is given to contributions which have accessible and clearly articulated policy implications. 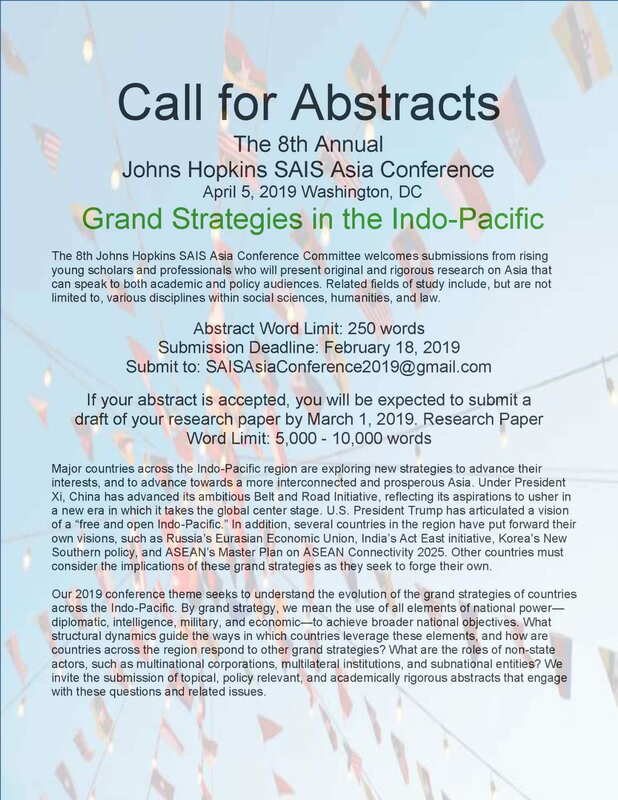 This fellowship supports scholars and analysts who wish to undertake research and writing on topics of relevance to contemporary U.S.-Indo-Pacific policy; in particular, proposals regarding key challenges in U.S.-Indo-Pacific relations and possible responses and approaches to addressing those challenges. The fellowship finances residencies for a period of three months in Washington, D.C. at the East-West Center in Washington. Residencies may begin as early as March 2019 and extend through September 2019. The fellowship includes a monthly stipend, and round trip economy airfare to Washington, D.C. Fellows will complete an article and monograph and must give a public seminar on their research topic. For detailed information on how to apply, please visit their Visiting Fellowships web page. The land tenure team in the World Bank’s Research Department leads Bank research on land tenure and governance (including large scale acquisition of land) as well as the impact evaluation of scalable land interventions. One of the main activities organized by the team is the Annual World Bank Conference on Land and Poverty which brings together representatives from governments, the development community, civil society, academia, and the private sector to discuss issues of concern to communities, land practitioners and policymakers worldwide. The conference, which has become the premier global forum on land governance, aims to foster dialogue and sharing of good practices around the diversity of reforms, approaches and experiences that are being implemented in the land sector around the world. Over the past few years, the event has grown from 200-300 participants to over 1000 registered participants. With approximate 1300 participants from over 130 countries, the 2018 conference was by far the largest to date – which demonstrates the increasing attention that governments, civil society, and the private sector are paying to issues related to land governance and responsible agricultural investment. To ensure that this event maintains its status as the premier global gathering on land issues, the World Bank seeks to recruit several motivated individuals to serve as conference assistants during the conference. Candidates should be prepared to serve either as a Room Monitor, Registration Assistant, Floater or Photographer. 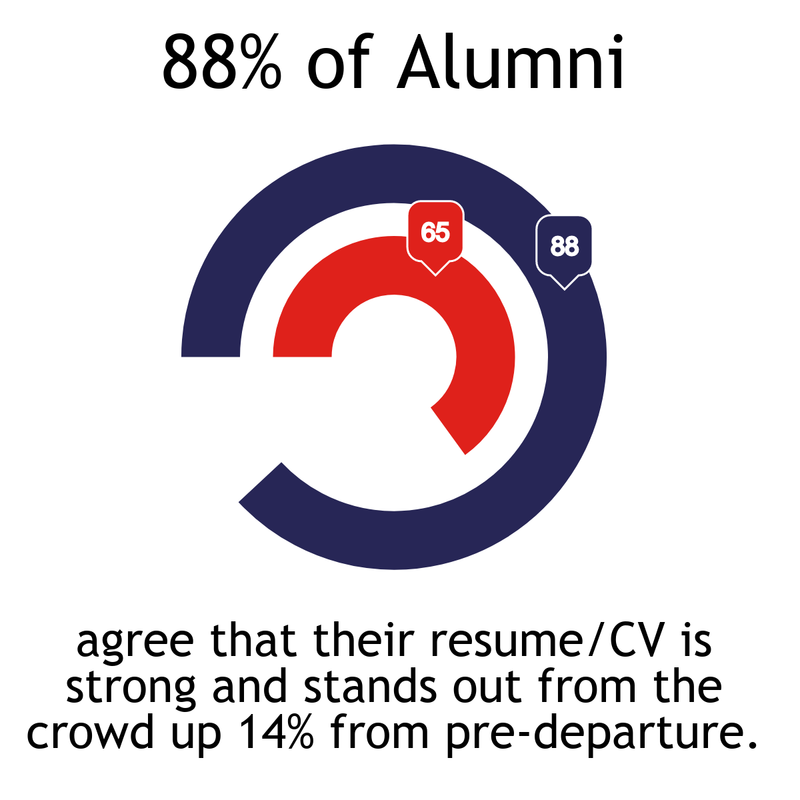 Candidates should be aware that their role may change throughout the conference depending upon overall staffing needs. Successful candidates will be required to complete two half-day mandatory training sessions to be fully prepared to complete the tasks during the conference week. The first half day training session will take place in December 2018 (tentatively December 1st) and the second full day training session will take place the weekend before the conference (March 23, 2019). As part of this training, all individuals will be expected to assist in final preparations for the conference, including stuffing name badges, organizing table tents and chair packets, placing directional signs around the building, putting up conference posters, and doing a walk-through of each conference room to ensure that the appropriate technology and room set-up are in place. Final arrangements for the training session will be communicated to the successful candidates by the World Bank at a time closer to the conference. Room Monitors: Responsibilities include tasks that will be performed prior to and during the conference to ensure the successful development of the sessions in their rooms. Room monitors should be prepared to troubleshoot technology or catering issues by contacting the conference organizers in a timely fashion. Registration Assistants: Responsibilities include tasks that will be performed prior to and during the conference such as greeting VIPs and attending to any of their special requests, recording the attendance of registered participants when they arrive, registering new participants, directing participants to their desired session room and other World Bank facilities and communicating in a timely manner with the conference organizers to address any unforeseen issues or questions. Floaters: Responsibilities include tasks that will be performed prior to and during the conference that support all Room Monitors and Registration Assistants as needed. Suitable candidates must be fluent in English, communicate professionally with high-level World Bank and government representatives, and excel in a fast-paced and multicultural work environment. Demonstrated ability to problem-solve, and experience in customer service are desirable but not required, and knowledge of other languages is an added asset. Preferably enrolled in an academic program related to the following fields: Urban Planning, Economics, Sustainability, International Development, Tourism Administration, Event and Meeting Management. The candidate should have a legal permit to work in the US. This contract will begin on December 1, 2018 and expire on April 30, 2019, for a total of 5 days, but the main responsibilities of the Conference Assistants will be executed during the conference (March 25-29, 2019). All Conference Assistants will have the opportunity to take breaks in between sessions and at lunch. political system and foreign policy, excellent Chinese-language research skills, and excellent writing skills. Opportunity to regularly be featured as an author on Party Watch Initiative’s signature weekly report. Opportunity to help shape the development of a new think tank. Currently enrolled in/recently graduated from university program with coursework in China/Asian Affairs. Able to commit 10-20 hours a week to the internship. Excellent Chinese language research skills. Ability to pass a timed language assessment. Excellent analysis, writing, and communication skills. 1 paragraph cover letter in body of email explaining relevant experience and qualifications. A list of 2 references (including reference’s name, title, affiliation, email address, and phone number). Call for Spring 2019 Internship Applications! The Project 2049 Institute is accepting applications for Spring 2019 internship positions for current students and recent graduates. The deadline for application submission is 11:59 pm on Friday, November 30, 2018. With generous support from the Taiwan Foundation for Democracy, GTI is pleased to announce the Taiwan Democracy and Civil Society Visiting Fellowship. The fellowship will enable a scholar from Taiwan to pursue research in Washington, DC. GTI will provide round-trip airfare from Taiwan and a monthly stipend to cover basic living expenses for a period up to 3 months. The visiting fellow will be provided a workstation in GTI’s office, attend GTI and other events in the area, and have the opportunity to engage with US experts and officials. The fellow will also gain exposure to a US audience by publishing in the Global Taiwan Brief and speaking on a panel at one of GTI’s public seminars. Taiwanese researchers and postgraduates with a demonstrated interest in scholarly research related but not limited to Taiwan’s democracy and civil society are welcome to apply. Researchers with a focus on social movements, demographics, economics, technology, and gender are especially encouraged. Preference will be given to researchers who have clear research goals for their time in Washington, DC. The fellow will be given a modest stipend of USD $2,500 per month to cover the cost of living. Fellows will be based at GTI for up to 3 months. Fellows will contribute articles to the Global Taiwan Brief (GTB). Fellows will serve as panelist at a GTI public seminar. Fellows will be provided with office space in downtown DC, at GTI headquarters. Fellows will have access to research institutions and proximity to US government officials, academics and think tanks, by being located in the US. 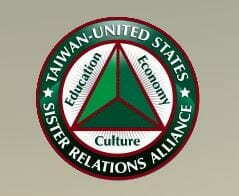 Applications will be evaluated based on the following criteria: (1) proposal’s clarity, appropriateness of methodology, investigator’s degree of familiarity with the research issues, and the potential for professional development; (2) proposal’s contribution to the understanding of contemporary Taiwan affairs and US-Taiwan relations; (3) proposal’s alignment with GTI’s mission and goals, and its status as a non-profit organization. Fellowship applications must be received by 5 pm on December 15, 2018. A decision will be announced by mid-January 2019. Please send inquiries and applications to contact@globaltaiwan.org. The Center for Strategic and International Studies (CSIS) provides strategic insights and policy solutions for decision-makers in government, international institutions, the private sector, and civil society. A bipartisan, nonprofit organization headquartered in Washington, DC, CSIS conducts research and analysis and develops policy initiatives that look into the future and anticipate change. The Southeast Asia Program at CSIS provides substantive research and dialogue on Southeast Asia policy and regional issues. Since the program began in 2009, the need for a serious and sustained policy focus on Southeast Asia continues to grow. As strategic interest in Asia rises, CSIS remains committed to its position as a premier outlet for research, analysis, and dynamic policy dialogue with Southeast Asia. CSIS offers full-time internships for undergraduates, graduate students, and recent graduates who are interested in gaining practical experience in public policy. The position is paid. Interns will contribute to long-term research projects, assist with events hosted by the program, compile the “Southeast Asia Monthly” newsletter, contribute to the program’s social media presence, and provide general support. • Must be at least a college senior in good standing, a recent graduate, or a graduate student. • Must have at least a 3.0 GPA (on a 4.0 scale) from an accredited U.S. institution or equivalent from a non-U.S. institution. Performances of duties require the use hands to finger, handle, or feel. The job frequently requires ability to stand, walk, sit, reach with hands and arms, and talk or hear. Specific vision abilities required include close vision, distance vision, peripheral vision, depth perception and ability to adjust focus. Reasonable accommodations may be made to enable individuals with disabilities to perform the essential job functions. • Please include your name on all application materials. • A resume, preferably in lieu of or addition to the online application resume. • A short writing sample of 500-1,500 words. This may be taken from a larger work, but please do not include submissions above 1,500 words. Writing samples relating to Southeast Asia are strongly recommended. You can find out more about the Southeast Asia Program on our website, Facebook, Twitter, and blog. Videos of recent events and the latest publications are also available on the website. Questions about the internship can be directed to the Southeast Asia Program, at southeastasiaprogram@csis.org. 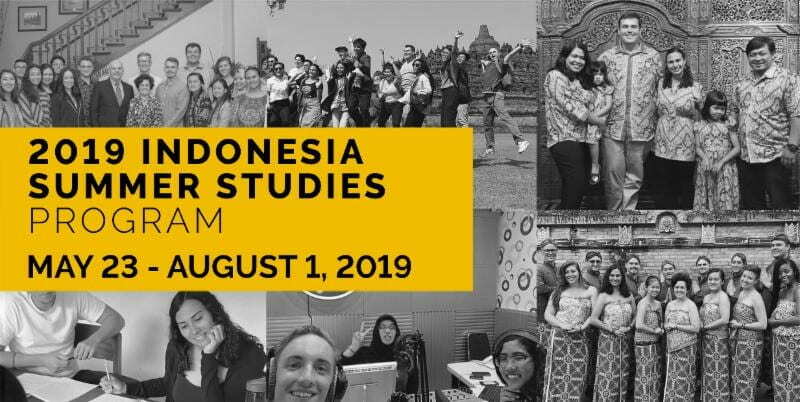 2019 Indonesia Summer Studies Program is an intensive ten-week language and cultural studies fellowship held in Yogyakarta and Jakarta, Indonesia. Explore the language and culture of Indonesia, the most dynamic emerging economy in Southeast Asia, largest Muslim-majority nation, third largestdemocratic country, fourth most populous nation, and one of the most diversecountries in the world. For complete information about the program, click here. Recent graduates (within 6 months) of any accredited U.S. college or university. For further instructions on how to complete your application, please refer to our Program Information here. Each student only pays a fee of $2,000 toward this program, and the USINDO provides the substantial remainder. The program fee covers: return international and domestic air ticket, tuition, series of the program activities, accomodation, meals, visa, and travel insurance. All other incidentals are the responsibility of the student. This year, one $1,500 scholarship is available for those seeking financial aid on a competitive basis. For more detailed information and application instruction, please visit our official Summer Studies Program webpage to access our Program Information andProgram Application. Kindly share this information to anyone who will be interested. Take classes in reading, writing, and speaking Indonesian language for 20 hours every week! To make sure the learning is personalized, students will have one-on-one tutorial sessions and an opportunity mid-program to adjust class levels based on progress. Create lifelong friends in Indonesia during our Summer Studies program by living with local Indonesian host families for 10 weeks in Yogyakarta. or pursue an optional independent study. During volunteering, Megan, one of 2018 USINDO Summer Studies participants, contributed to the rebranding of a product package for a well-known local confectionary in Yogyakarta, Coklat nDalem. During Independent Study, Carly, one of our Summer Studies participants from last year, interviewed experts and academics for her research regarding the comparison between western and eastern approaches to medicine (study case: Jamu). Experience firsthand Indonesian cultural events and workshops! The 2018 Summer Studies participants played the traditional Javanese instrument gamelan, made batik through traditional textile dyeing techniques, learned traditional Indonesian dances, and cooked Indonesian cuisine. Go on field trips to increase your knowledge of Indonesia! Last year, participants spent three days discovering Yogyakarta’ renowned and historical places, including: Merapi Lava Tour, Borobudur Temple, Prambanan Temple, Indmira organic farming, and Kotagede. Special Lectures engage participants in discussions with various experts coming from various backgrounds including: the private sector, government officials, scholars, the non-government sector, and the media. They touch upon topics with an emphasis on current issues, keeping in mind students’ interests to craft a customized and enriching experience. In the picture above, our 2016 Summer Studies participants had a discussion and meeting with Sultan of the historic Yogyakarta Sultanate in Indonesia, and current Governor of Yogyakarta Special Region, Hamengkubuwana X. Spend three days in Jakarta after the Yogyakarta portion of the program for high level meetings and networking, while discussing contemporary issues facing Indonesia. In the past, participants had the opportunity to meet and network with senior government officials, business and NGO leaders, including with former ministers, deputy speakers, and deputy chief of staff at the Executive Office of the President. In the picture above, our 2018 Summer Studies participants had an interesting discussion and meeting session with U.S. Ambassador to Indonesia, Ambassador Joseph R. Donovan. To support students with financial need who hold promise for achievement and distinction in their chosen fields of study. The amount of each Fellowship will cover actual tuition (does not include fees) plus an $18,000 annual stipend to be allocated towards room, board and ordinary living expenses. The award is for Fall 2019 and Spring 2020 (summer is not applicable). Fellowships are available to currently enrolled GW graduate students who are in any recognized field of study in the humanities, social sciences, or natural sciences (including law, medicine, engineering). Applicants must have an outstanding undergraduate record (i.e. 3.5 or above). The selection committee has a strong preference for supporting scholarly endeavors. Students in Law, Medicine or in PhD programs are encouraged to apply. Candidates must demonstrate a need for financial assistance and must be a citizen of the United States of America. Please click here to review required documents and to download an application. Interested applicants must carefully review the items that are required for consideration for this opportunity, as well as the submission process. Please email gradfell@gwu.edu with questions about this fellowship. GTI Spring 2019 Internship Application now open! GTI will be hiring interns this coming Spring. Please find below the job description of the internship program that we offer. The Global Taiwan Institute (GTI) is a private, non-profit policy incubator located in the nation’s capital, Washington, D.C. Our vision is to raise awareness, deepen affinity, and create opportunities for strengthening the relationship between Taiwan and the international community, and especially Taiwan’s relationship with the United States. We do this through policy research and programs that promote better public understanding about Taiwan and its people. GTI accepts interns several times a year, normally for periods of an academic term, though these terms may be shortened or extended at the discretion of the organization. Our internship program is a generalized one, which will expose interns to the breadth of think tank operations, from research assistance to event planning, and administrative tasks. Internship duties will vary by term and by individual, as interns bring their unique skills, interests, and expertise to the organization. The Global Taiwan Institute is seeking Spring interns to assist with: current research projects and reports, production of the bi-weekly Global Taiwan Brief, organization of our monthly public seminars, and with other relevant administrative tasks. Interns may have the opportunity to publish in the Global Taiwan Brief. As a small, start-up organization, we are looking for energetic, flexible, highly-motivated interns who are excited about our mission and work well as a part of a small team. Familiarity with regional issues, editorial and/or writing experience, social media proficiency, interpersonal skills, and a strong work ethic are essential. This internship is unpaid. Please send these materials as email attachments (Word documents) to GTI Program Associate Marzia Borsoi-Kelly at mborsoikelly@globaltaiwan.org with subject: “GTI Spring Internship 2019” by Tuesday, November 13, 2018. Applications that do not include all requested application materials will not be considered. This program provides up to ten federal employees with one year of professional development and networking opportunities in Japan. It was established by the U.S. Congress in 1994 to build a corps of U.S. federal government employees with proficiency in the Japanese language and practical, firsthand knowledge about Japan and its government. The Mansfield Fellowship Program includes seven weeks of language training in Ishikawa Prefecture and ten months of professional assignments in the Government of Japan. During the one-year program, Fellows will develop an in-depth understanding of Japan’s government and its policymaking process and create networks of contacts with their counterparts in the Japanese government, business, professional, and academic communities. Fellowships are awarded on a competitive basis to U.S. federal government employees with a professional interest in Japan. Successful candidates will join a diverse pool of Mansfield Fellows who currently serve in senior positions with the U.S. government. We need your help finding the brightest talent in the young China watching community! Young China Watchers (YCW) is excited to announce the first annual Young China Watcher of the Year Award. The award seeks to recognize a young professional who has made an extraordinary contribution to the global understanding of China, be that in the realm of politics, business, academia, or civil society. The initiative aims to elevate the work of up-and-coming talent within the global community of China observers, thinkers, and doers. Check out details on eligibility and nomination criteria here! This year’s winner will be recognized at a celebration held on November 6, 2018 at Avenues: The World School in New York City. Evan Osnos, New Yorker staff writer and award-winning author of Age of Ambition, will present the award. This is an excellent opportunity to highlight the work of an exceptional young China watcher. Nominate a rising star! For individuals, foundations, or corporations interested in supporting this initiative please email award@youngchinawatchers.com. TalentBurst, Inc is currently looking to fill a contract assignment for Curator, Japanese in New York, NY. We are looking for a skilled Japanese language curator of digital media, who is capable of quickly and accurately identifying the best Japanese Twitter content in Tweets, photos, and videos. The ideal candidate has extensive experience in using Twitter on a daily basis, and has a strong journalism/media background with some breaking news experience in a fast paced newsroom environment. This individual has knowledge in a variety of mainstream content verticals (News, Politics, Sports, Entertainment, etc,) in Japan and abroad, and will collect tweets in Japanese to narrate and explain a story in variety of topics. As a member of Twitter Moment’s global curation team, this individual will work closely with colleagues from around the world, and needs to be a strong communicator and a team player, excited to collaborate with the team, and learn from international peers who have different points of view and areas of expertise. Candidates will need to be available to work early mornings, nights and weekends and should be very familiar with Japanese-speaking Twitter communities and users. Founded in 1997, the International Affairs Fellowship (IAF) in Japan, sponsored by Hitachi, Ltd., seeks to strengthen mutual understanding and cooperation between the rising generations of leaders in the United States and Japan. 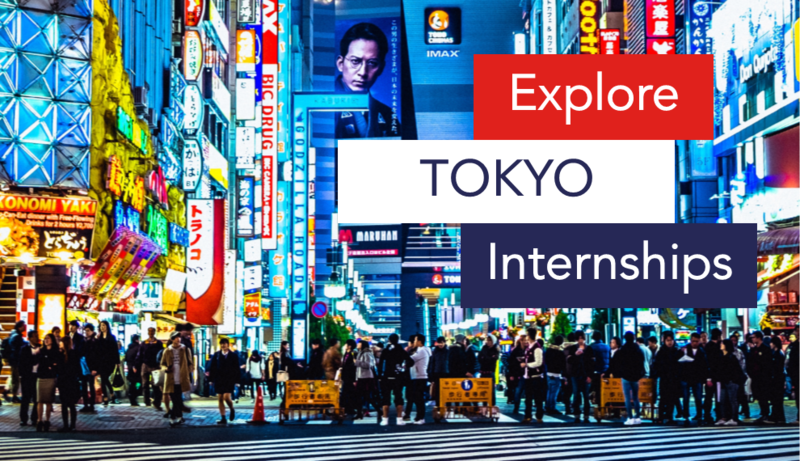 The program provides a select group of mid-career professionals the opportunity to carry out research while affiliated with appropriate institutions in Japan, and to establish long-term professional and personal ties through their activities. Fellows are drawn from academia, business, government, media, NGOs, and think tanks. In cooperation with CFR, the program’s sponsor, Hitachi, Ltd., assists fellows in finding suitable host organizations in Japan. A nonexclusive list of cooperating institutions in Japan can be found below. CFR cannot guarantee placement at any specific agency or organization. The duration of the fellowship is between three and twelve months. The program awards a stipend in yen, which covers travel and living expenses in Japan. Fellows are considered independent contractors rather than employees of CFR, and are not eligible for employment benefits, including health insurance. The Okinawa Prefectural Government and the George Washington University Okinawa Collection (URL) are sponsoring an essay contest to foster research on Okinawan culture, economics, history, politics, and society, including the study of U.S. military base issues in Okinawa. The Okinawa Prefectural Government hopes that this contest will facilitate further discussions on Okinawa’s future and support new efforts to address different challenges. This contest is also supported by the Center for Okinawan Studies (URL) and the Okinawa Collection (URL) at the University of Hawai’i at Mānoa. The contest is open to undergraduate and graduate students as well as recent graduates (graduated no earlier than May 2017) attending universities and colleges in the District of Columbia, Maryland, Virginia, or Hawaii. The deadline for submissions will be noon (EST) on February 1, 2019 (Friday). Three essays will be selected for awards by a selection panel of U.S. scholars. Each of the three awardees will receive the following prizes respectively and will have the opportunity to attend an award ceremony held in downtown Washington D.C. in March 2019. The 1st and 2nd place winners will have the opportunity to visit Okinawa to deepen their understanding about Okinawa and gain some inspiration for further research. Awardees will receive travel funding for the award ceremony in Washington, D.C.
Winning essays will be published on the official website of the Okinawa Prefectural Government. Copies of the essays may be shared with libraries in Okinawa and the U.S. Please visit the Okinawa Essay Contest website for submission guidelines and to submit your entry. The George Washington University’s Elliott School of International Affairs (ESIA) is one of the world’s leading schools of international affairs. Located in the heart of Washington, DC, its mission is to educate the next generation of international leaders, conduct research that advances understanding of important global issues, and engage the policy community in the United States and around the world. The school’s unique location—just steps from the White House, World Bank, International Monetary Fund, U.S. Department of State, and dozens of other U.S. and international organizations—enriches its teaching and research, providing students and scholars with unmatched opportunities to engage with the U.S. and international policy communities. Plans and oversees events and assists the director in organizing various conferences. Processes various expenditures related to Asian Studies Program. Administers website for Asian Studies Program. Minimum Qualifications: Qualified candidates will hold a high school diploma/GED plus 1.5 years of relevant professional experience, or, a Bachelor’s degree or higher in a relevant area of study. Degree must be conferred by the start date of the position. Degree requirements may be substituted with an equivalent combination of education, training and experience. Preferred Qualifications: Some background in Asian Studies or knowledge of the Elliott School’s programs. Ability to manage a website. For more information regarding the position, including pay, please click here. Call for applicants interested in conducting research on China’s policy and industrial base. The potential positions are paid full-time or part-time internships to begin in late Summer or early Fall. Relevant skillsets include: Mandarin Chinese language (primarily reading) as well as experience researching Chinese politics / government, business / economy, and military. Main work tasks are corporate and policy research, data analysis, and deliverable generation. This job posting may be found on Handshake at this link. Prof. Deepa Ollapally is seeking a student at the senior undergraduate or graduate level for up to 20 hours a week in the post of Research Assistant for projects on China-South Asia relations including topics of military security, trade and regional cooperation and conflict. Working level knowledge of Chinese is a strong advantage, as is interest/knowledge of the Asian region and international affairs. Student would collect and analyze data, conduct literature reviews, prepare and update material for website and assist with other research related tasks if required. Student should possess strong analytical and writing skills. Projects are housed in the Rising Powers Initiative of the Sigur Center for Asian Studies. Student would also assist with general office work and website/social media maintenance for the Sigur Center. Required documents: CV/resume and cover letter. Student Employment offers GW students opportunities to gain valuable part-time work experience and start building their professional networks. These include many regular on-campus jobs, as well as all on-campus and off-campus FWS jobs. Student jobs are both an important part of a student’s career development and a vital part of University operations. GW departments and our off-campus FWS partners offer positions that help students earn extra money, build transferable skills needed for future internships and jobs, and strengthen their sense of connection to GW. The Congressional-Executive Commission on China (CECC) is offering paid Fellowships to graduates of accredited Bachelor’s, Master’s, and J.D. Programs, or current graduate-level students. CECC Fellowship positions are filled twice a year. The Spring term (Part-Time, 15-20 hours per week) begins approximately in early February and ends in mid-May. The Summer term (Full-Time, 32-40 hours per week) begins approximately in mid-May and ends in August/September. The Commission may recruit additional fellows during the year based on internal needs. The precise start and end dates are determined based on the Commission’s schedule, and the end dates can be negotiated based on Fellows’ needs. The CECC’s Liu Xiaobo Fellowship was created in honor of renowned Chinese Nobel Prize laureate and prominent political prisoner Liu Xiaobo, who died in state custody in July 2017, just weeks after officials reported that he was battling late-stage liver cancer. A writer, former literature professor, and human rights advocate, Liu Xiaobo was among the chief authors of Charter 08, an open statement calling for political reform and greater protection of human rights in China. Charter 08 was released on December 10, 2008, to coincide with the 60th anniversary of the Universal Declaration of Human Rights and Human Rights Day. Liu was detained on December 8, 2008 and later arrested on the charge of “inciting subversion of state power” in connection with his work on Charter 08 and several political essays he wrote. At the time of his death, he had served nearly 8 years of an 11-year prison sentence. The Liu Xiaobo Fellowship provides significant professional experience for individuals possessing a background in Chinese politics, law, and society, in addition to strong Chinese language skills. Fellows work closely with the Commission and its staff on the full array of issues concerning human rights, the rule of law, and governance in China (including criminal justice, institutions of democratic governance, environmental issues, religious freedom, freedom of expression, ethnic minority rights, women’s rights, etc.). Fellows perform important research support tasks (often in Chinese), attend China-related events, meet human rights advocates and other professionals whose work is focused on China, and assist staff in the drafting of Commission analyses, in addition to other tasks. Click here for CECC analysis of recent developments in the rule of law and human rights in China. Fellows may also perform research for the Commission’s Political Prisoner Database, which has been accessible to the public since its launch in November 2004 (click here to begin a search). CECC Fellows will be paid $12/hour. Fellows are not eligible for any additional federal benefits. Further details are available on the Commission’s website at http://www.cecc.gov/about/employment-opportunities. Interested applicants should send a cover letter, resume/CV, writing sample, and the names and contact information of two references (assemble application materials in one PDF file, if possible) to the CECC via e-mail to Judy Wright, Director of Administration, at judy.wright@mail.house.gov.NO phone calls, please. Spring Term: Applications must be received by our office no later than 11:59 P.M. (EST) on November 5. Please include a brief statement addressing how your research skills, knowledge, and experience make you a suitable candidate for the CECC Liu Xiaobo Fellowship. Please indicate in your cover letter whether you are able to read Mandarin Chinese for research purposes. Please indicate your level of fluency, i.e. beginner, intermediate, advanced, or native fluency. If you have taken a Chinese language proficiency exam, such as the HSK or ILR, please indicate the highest score you have obtained. Please indicate how you learned about this fellowship position. Please include relevant work history, coursework, educational achievements, honors/awards received, translation experience, and anything else that you feel will help us in our evaluation of your application.